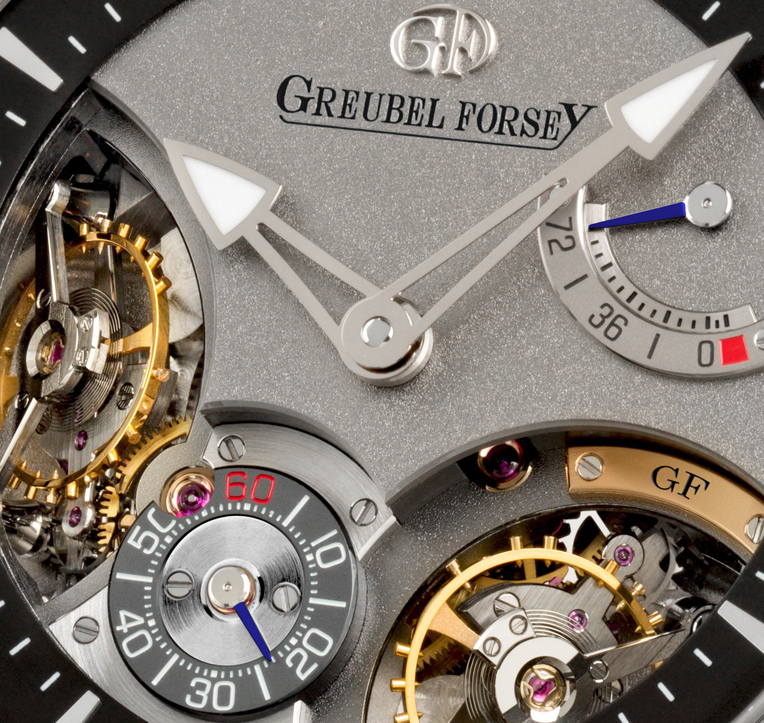 As the name suggests, the new Greubel Forsey Double Balancier 35° features two inclined fixed-oscillators and escapements driven through a spherical differential, which provides the average of their rates via the gear train to the time display. 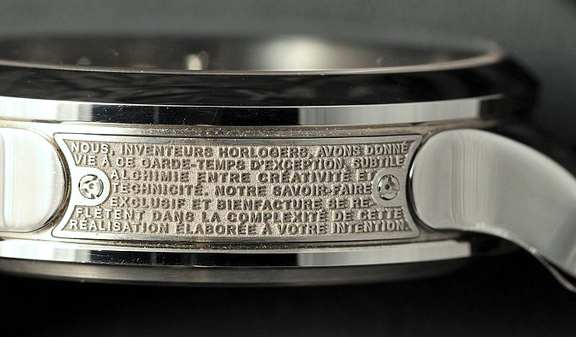 Robert Greubel and Stephen Forsey began their research into inclined oscillators in 1999 unveiling a first working prototype with two inclined oscillators, each at 20°, at Baselworld in 2009. The timepiece presented today is an evolution from this first concept with the two inclined oscillators no longer superimposed but spatially disposed in different three dimensional planes. The goal is, of course, to further improve the chronometric timing performance for the wristwatch, both on and off the wrist. In fact, having two oscillators on different planes significantly reduce the possibility they are in either a horizontal (flat) or vertical position. Moreover, the two inclined fixed oscillators are linked by a spherical differential that averages rating differences and ensures an optimal performance at all times whether in stabilised ( horizontal or vertical) positions or dynamically (on the wrist). The beautiful skeletonised gold hands indicate the time against a polished black-oxidised gold chapter ring. Between the two visible inclined balances, the small seconds at 7 o’clock displays the running instantaneous average of the two regulators, while a 72-hour power reserve indicator at 2 o’clock keeps track of the optimal power available from the two co-axial, fast-rotating mainspring barrels. Finishing meets the highest standard. 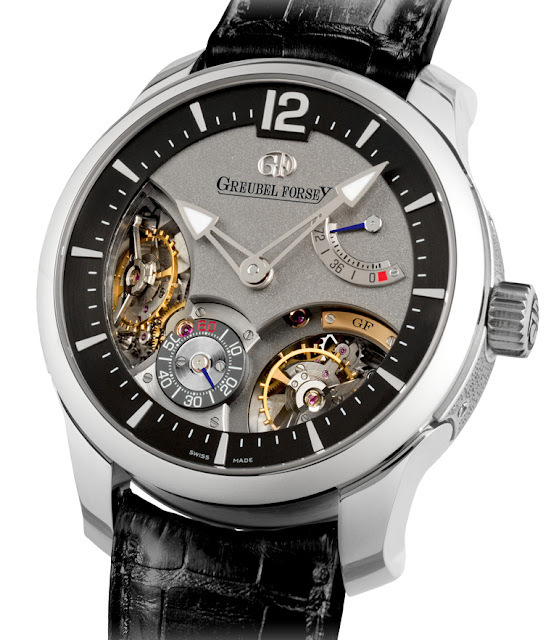 The Greubel Forsey Double Balancier 35° is a limited edition of just six pieces in a 43.5 mm white gold case.